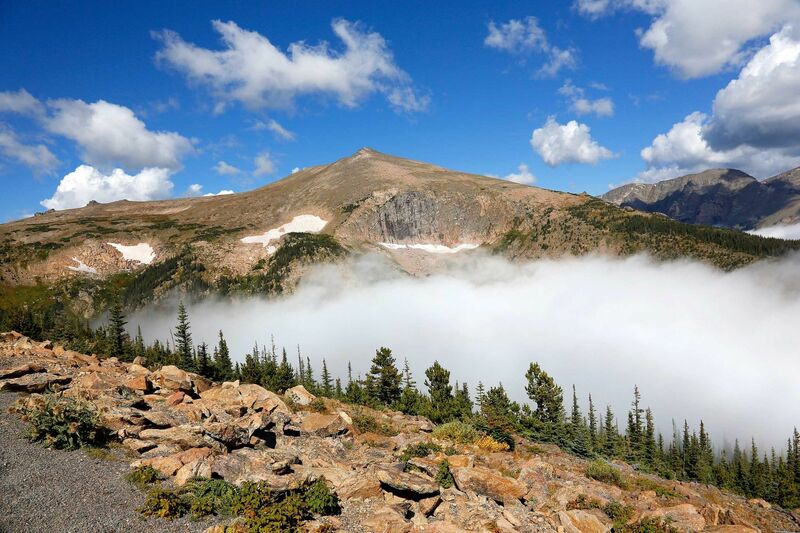 The Trail Ridge Road is a must for all who visit Rocky Mountain National Park. We were in a rainy and very misty/cloudy Estes Park when a park ranger happened to mention that you could get above the clouds if you went along the Trail Ridge Road towards Rainbow Curve and Many Parks Curve. The ranger was right, by the time we got to Many Parks Curve we were dramatically above the clouds with a fabulous view of Sundance Mt from Trail Ridge Road. We could have quite easily stayed in Estes Park that day but a chance remark by one on the rangers ensured we had one of the best photographic days of our vacation. Give that man a beer! !